Today's FT Weekend reports that Sheffield FC is to put it's archive and original set of 1858 set of rules up for sale at Sotheby's in July. The sale is expected to fetch upwards of £1.2 million and Chairman Richard Tims is quoted as saying this sale will secure the club's future. At the moment this to be verified by the club and nothing has appeared on the official site as yet, although Twitter reports Official press release to follow on Tuesday. 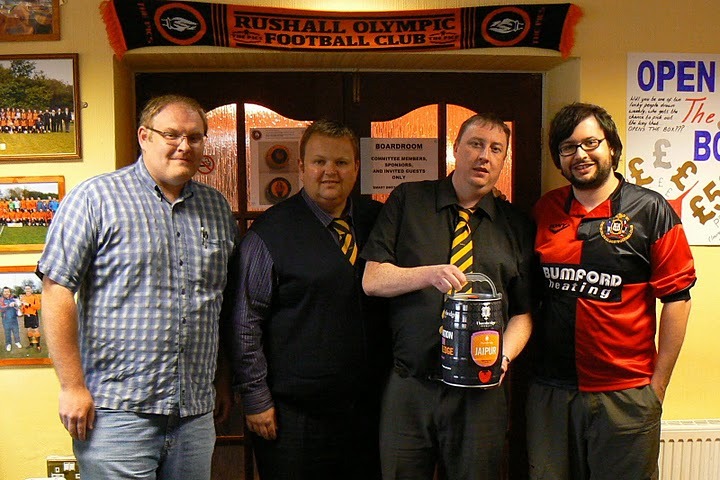 Rushall Olympic receive the top prize from supporters of Sheffield FC judging their away day experiences over the 2010/2011 season. Rushall Olympic FC were delighted to receive correspondence from fellow league club, Sheffield FC highlighting that the Pics had won the top prize in their season long ‘On the Road Review’, where their supporters ranked their away match day experience. 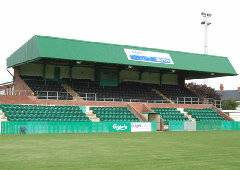 In total the Sheffield FC supporters visited thirty three grounds in different national leagues and applied marks out of ten for categories – Ground, Refreshments, Facilities, Home Fans, Stewards / Officials and Programme and placed the Pics top of the league with fifty points, just pipping the more glamorous surroundings of Northwich Victoria by just one point. Rushall Olympic’s match day programme, compiled and designed by Darren Stockall came in for special praise, earning a maximum ten out of ten mark and being tagged , ‘the best in non-league’. ‘We do get embarrassed about the areas of work that need doing at our ground, but we work within restrictions with local authorities that hampers funding and makes progress slow. This recognition shows that it’s not all about just shiny new stands that defines the essence of non-league football – it’s about a spirit and a bit of heart and soul. We all know about the ups and downs in non-league football, but sometimes it’s great to stand back and reflect on what a great and unique product non-league football is’. 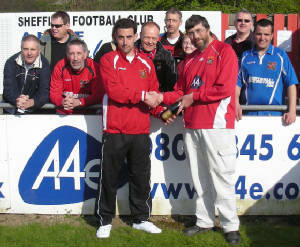 A contingent from Sheffield FC, including judges of the competition made the trip to Dales Lane to see Rushall Olympic beat Brigg Town 3-0 in their play-off semi-final to present a prize of a barrel of speciality real ale to the Pics in recognition of topping their away day leaderboard. 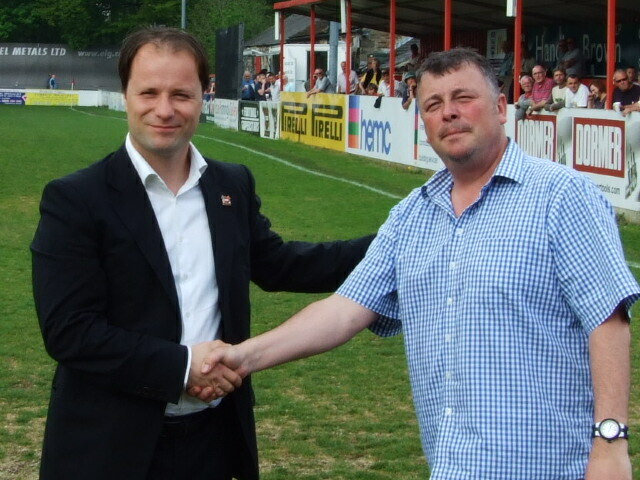 Sheffield FC is pleased to announce the appointment of Mark Shaw as First Team Manager. Mark will be joined by Pete Shuttleworth as Assistant Coach and Chris Adam as Player/Assistant Coach. Supporters are welcome to meet the new management team at our last home game of the season on Saturday v Romulus. Mark has been appointed after a rigorous selection procedure where the quality of applications surpassed our expectations. We would like to pass on our best wishes and good luck to all the unsuccessful candidates. We would also like to thank Ian Whitehorne and Paul Rodgers, who have overseen some outstanding performances from the team during their caretaker period, culminating in a 5-0 victory over promotion chasing Brigg Town this week. All at BTF wish Mark all the best in his new appointment. A group of Sheffield FC supporters have banded together to create a new forum presence on the internet. www.behindtheflag.info has been launched as the new place for fans, officials and even players to post their comments about all things to do with the World’s First Football Club. The registration process is remarkably easy; choose a “User ID”, create a password and supply a valid e-mail address, and within minutes you can start posting. If you just want to have a look at the new site, or keep tabs on the news as it happens, simply point your computer to www.behindtheflag.info and read what everyone’s got to say without any obligation. Better still, sign up and join the BTF community, getting behind a true family club. Many of you will have noticed the lack of updates and the inability to post on Behind the Flag’s popular forum over the last few weeks, this is due to a major upgrade that many supporters felt was necessary. A new forum is in the process of being developed, based on feedback from both supporters and officials, and should be ready for use in the next couple of weeks. Sheffield FC supporter (and I.T wiz) Rich Stephenson and BTF stalwart Stuart James are working in tandem to create a discussion board that will be the main reference point for fans of all things Sheffield FC related, covering all areas of the Club - from First Team, Reserves and Youth to Ladies, Club 1857 to Travel, and if you fancy a Statto’s Paradise and General Chat area. We are hoping that as many SFC supporters with web access join as possible, although it isn’t going to be mandatory if you only wish to view and not post, however it is hoped that the number of registered users and posters will take an active part in making this venture a success. More news will follow as the updates start to snowball. At a meeting on Monday to discuss the appointment of a new manager for Sheffield FC, it was decided to shortlist a number of candidates and invite them to interview with the intention of appointing a manager by the end of the season. 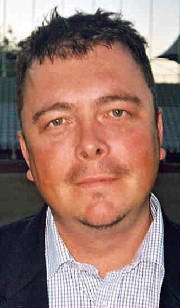 Ian Whitehorne will continue as caretaker Manager for the foreseeable future until such time as an appointment is made. 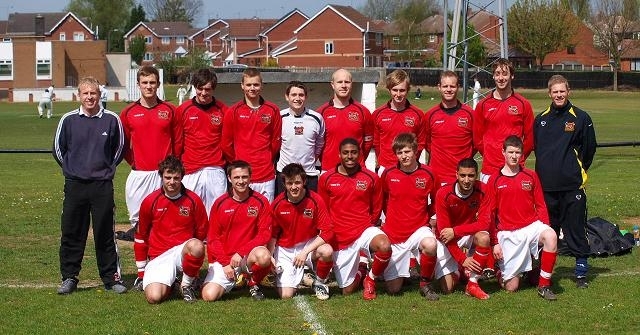 Manager Chris Dolby has quit the oldest club in the world, non-league Sheffield FC. 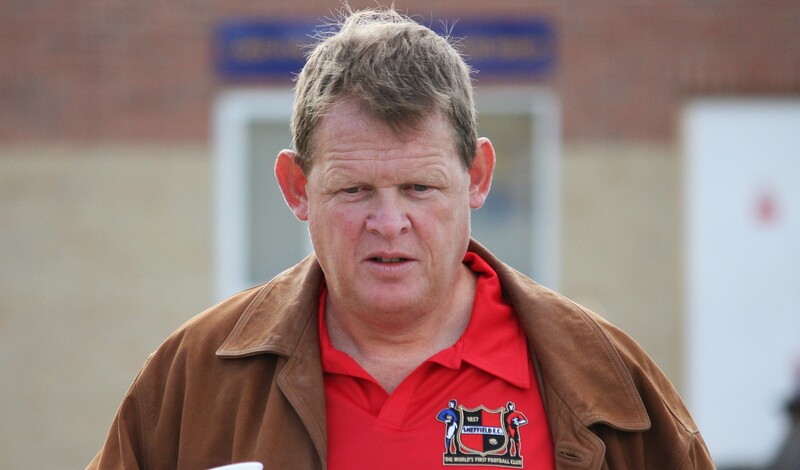 He is unable to carry on at Dronfield due “to losing players that I have brought to the club due to the financial restraints”. Dolby, aged 36, said: “I don’t feel my ambition is matched by the club’s board to retain the necessary players to gain promotion. “I’ve brought as much success as is possible given the current crop of players. Meanwhile, the club have yet to release an official statement and the official site continues to show a distinct lack of any information around the latest developments. Manager Chris Dolby, assistant Ian Whitehorne and staff member and former player Paul “Buck” Rogers hosted a 90 minute Question and Answer session at the Coach and Horses on Wednesday evening, writes Roy France. Attended by 16 Sheffield FC fans it turned out to be a constructive and informative event with plans made to hold another towards the end of the season. Assistant Manager Gav Smith was unable to attend due to family commitments. The key points emerging from the discussions were as follows. Realistically Club will not qualify for the play-offs this season following the results over the last three weeks so the main aim of the rest of the season will be to finish as high as possible in the league, retain the Senior Cup and to lay plans and build for next season. The management have a target of gaining promotion to the Evo-Stik Premier League within two years. Chris and Ian explained the budgetary constraints within which they have to work, to ensure that the Club operates within “the black” and not to put 153 years of history at risk. The recent press speculation regarding the HMRC bill caused undue alarm as the Club paid all due bills on time. Players wages were higher in 09/10 but have been reduced overall and it is believed that Sheffield FC have an average playing budget compared to other Clubs in the League. There is obvious difficulty in attracting players from higher leagues to Sheffield FC but the management are constantly looking to improve the playing squad and are working hard behind the scenes to either bring players in from lower leagues or local senior sides. Recent examples include James Gregory, Oliver Banks, Callum Harrison and Jamie Hadfield. The strategy is to blend these youngsters with the more experienced players in the squad. It was pointed out that whilst the younger players may have the talent they will improve as players once they have more games and experience under their belt. Whilst there was some frustration that the trip to India interfered with the regular season fixtures it was understood that there were benefits to the Club financially and exposure on a global scale. For those who travelled it gave them the experience of a different culture and the chance to play in front of large crowds. The general day to day Club activities now have separate financial arrangements than the football side but funds raised on the non-football side can be made available to the football budget. The Chairman and others are working constantly to obtain major sponsorship but have suffered frustration there too and were obviously disappointed regarding the outcome of the 2018 World Cup Bid. Better news on the sponsorship front is expected around the end of this season. It was pointed out that the average age of the side has dropped from around 30 to around 22. However many of the younger players were playing at this level for the first time. Some of these younger players have made individual errors in games but it is part of their learning curve. Goalkeeper Dan Whatsize may have made a couple of crucial errors leading directly to goals but this is the lot of a number 1 and all present acknowledged the numerous excellent saves he has also made. Dan is showing great enthusiasm and has to travel far to play and is also training with Macclesfield. Gregory also travels to play. Adam Burley had to leave due to work commitments and the distance involved in travelling. The recent marked difference in home and away form was discussed. It was agreed that even in defeats there have been pockets of good spells. Chris felt that the team felt under pressure to perform at home before the fans and was working on turning this around by encouraging players to be more relaxed. Away from home there have been some excellent performances recently and he felt this was down to being under less pressure to perform. Ideally he would like to rest some of the younger players as too many defeats could shatter their confidence but the squad is too threadbare at present. Some players have recently left for increased wages elsewhere and this was inevitable given the reality of the situation. Matt Outram left for his own personal reasons. Kirk Jackson has left due to work commitments while it was hoped to have Chris Adam back in the squad soon. Chris had been helping Curtis Woodhouse with preparations for a boxing bout. Paul Rogers confirmed that the aim on the field is for a blend of youth and experience. He was hopeful that there would be an improved playing budget in 2011/2 and that there would be major sponsorship available to create a sustained income over many years. Chris and Ian have identified a list of players they would like to bring in for next season and work is ongoing to make this happen. The recent home defeats have enabled the management to identify where the team needs strengthening. It was acknowledged that we don’t have enough vociferous leader style players on the pitch at times but Brian Cusworth does an excellent geeing up job in the dressing room. The fans want to see more of the experienced players geeing up the younger players if they make a mistake. Steve Woolley’s injury is quite serious and he may be out for a couple of weeks. In terms of him playing at left back this is a personal choice as Steve started his career there and is naturally left-footed. However Chris pointed out that the buck stops with him, he is the manager who determines who plays week in week out. In terms of working with the players in general on coaching there is a very limited time period for this which can be as little as an hour per week on a Thursday night. Chris’s preferred playing format is 4-4-2 with two wide men but will adapt depending on the circumstances and player availability. Chris spends as much time as possible with players on a 1-1 basis, giving advice and analysing what they did in certain match circumstances. Chris’s philosophy is to play creatively in the final third, aiming to create width by playing balls inside or around opposing full-backs and getting forwards to run at defenders with the ball. Chris explained the boxing and zoning of players positions on the pitch given certain circumstances, e.g. from a goal kick. Very few teams in our league play a roll out the ball from the goalkeeper style. It was noted that the team’s disciplinary record had improved after a very poor record at the start of the season. This was due to clamp down and warnings to those involved. Players have to pay their own fines for yellow and red cards. Youth player Nick Galloway has been released due to an act of indiscipline in an U-19 game. Matt Roney was praised for his display in goals at Goole. (Matt has some experience as a goalkeeping coach!) The management felt that the loss of a goalkeeper galvanised the team in the same way as going down to 10 men can do. A number of supporters present stated that this event was a great way of communicating the issues which the management faced. It was agreed that communication was vital and that this could be continued through the Club Programme Notes but also via a regular blog on the official website and Behind The Flag site. This will be arranged. The idea of the club charging for teamsheets was raised, particularly for those who had already purchased a programme and did not know the exact line up. The programme could be amended so that there is a squad list with tick boxes. It was noted that there were plans for an improved programme for 2011/2 in terms of print quality. Also supporters buying programmes at away games noted that the information on Sheffield players is often out of date, by a couple of years in some cases. Can Sheffield FC send up to date information to other clubs, to be discussed at a Committee Meeting. The demise of the Club Shop was raised and those present felt we were losing out on being able to buy merchandise and fund raising. In terms of Club location it was still the longer term plan to move to Olive Grove. Paul stated that there were plans to improve the current ground, e.g. by developing the field behind the far side into 5 a side pitches or an all weather pitch in line with the original plan of the Club being a community resource in Dronfield. In term of the actual playing surface Paul said there were plans involving Pete Bowden to improve it by investing and also to reduce the number of games played on it by the Reserves playing elsewhere in 2011/2. There are plans afoot to use the stadium for other events in the summer e,g, Charity Events, Bands. The structure of the season was discussed. It was agreed that there are probably too many Cup competitions but they were obligatory to enter and also to field a near full strength side. The season could have begun earlier in August which would have reduced the fixture pile up we now face due to Cup runs and the weather. Paul to take up with Evo-Stik. Despite this we will be going all out to retain the Senior Cup and will be fielding a strong a side as possible against Frickley who will be out for revenge for their FA Cup defeat. The Club have a couple of scouts who watch future opponents and provide a report for the management. This is done voluntarily. The Ball of Steel, to be placed near the M1 at Meadowhall, will recognise that Sheffield is the home of football. In summary, as can be seen from the above, a wide variety of topics were covered. A further similar session is planned for later in the season with an exact date to be advised. We've had an e-mail from Tipton's Paul Myatt this evening giving us a few updates to the Awaydays that appeared in Saturday's programme and on the site. Admission for the game was agreed by both clubs to be £6 (not the £5 that is normally charged for League games) , we at BTF apologise for any inconvenience this may have caused. Also Paul has asked me to warn everyone about the potential hold ups and for your information allow a bit of extra time if you are coming via the M42 / M6 north, as the stretch from M6 Junction 5/ 6 to Junction 9 is slow most evenings due to the volume of traffic coming out of Birmingham and with Villa being at home there will be a bit more traffic around junction 6 by Villa Park. Needless to say, Tipton want as many of us to be there in good time! Don't forget to say thanks to Paul for that when you go through the gate!!! An update around coach travel to Tipton for the FA Cup Replay on Wednesday. There are very few places left on the second bus now (down to FIVE spaces as I type this) , and anyone wishing to snap one of these should contact Ian Feeley at the Club, by e-mailing ian.feeley@sheffieldfc.com as soon as possible. The bus is due to leave the Coach and Horses at 4.00. This coming Saturday's FA Cup tie against Tipton promises to be a big day - with a big prize at stake - a place in the First Round proper for the winner. Enough has been made of the fact amongst those potential First Round opponents are Rotherham United, Chesterfield and Sheffield Wednesday. To get behind Sheffield FC on this momentous day it is suggested that anyone with Sheffield FC flags (however old or homemade) brings them down to the Coach and Horses ground and display them for the world to see. On top of this Club are having a special offer on children's admission, under 16s being admitted free with any paying adult. With Tipton planning to bring a fair few up from the West Midlands, it promises to have a great Cup tie atmosphere, so get down early to guarantee a good viewing place! Following on from from a successful end of season that saw them land the County Senior Premier Division title, and the County Association Cup, Club's Reserve outfit play host to Dublin side Ballyfermot United in a prestigious pre-season friendly (Saturday, August 7th - kick off 2.30). United play their games in the Leinster Senior League, one of the Irish football pyramid's most respected set ups, and finished in a respectable seventh place in last season's table. In amateur football terms in Ireland, United could be described as a big club, although in the not so distant past, the club dropped a couple of levels from the top division (one level below League of Ireland) and it's only now that they are showing signs of recovery and some real ambition to climb back to where they feel they belong. It promises to be an interesting encounter, and as the first team aren't playing on that Saturday, why not get along to Coach and Horses and show your support... and after the game, why not join the tourists in the pub for a few swift ones! Sheffield FC have added a local legend to their ranks this week, signing ex-Sheffield United player, and professional boxer, Curtis Woodhouse. Curtis left full time football at 26 to take up professional boxing with an aim to become British champion within 5 years. Curtis said "I’m really excited about this move there’s a real buzz about the place, I had some of my happiest times playing football in Sheffield and made some great friends there. I hope a few of them decide to come up and watch us." Manager Chris Dolby said, “ you only have to meet Curtis to realise we’ve not only got a great player, but a real character too. You don’t think twice when you get the chance to sign a player of his quality. We have fifteen games to go and this league has never been tighter. At 19, Curtis was Sheffield United's youngest ever captain, so he will bring with him some real leadership at a time when we need it most." As Club prepare to pay their own tribute to our own Trevor Herrington tomorrow at our home game with Goole AFC (kick off 3:00), BehindTheFlag are inviting everyone who knew Trev to join us for a pre-match drink in the Coach and Horses pub and share your stories of our recently departed friend, meeting around 1:30 - we'll also be returning to the C&H after the game for a little more Memory Lane stuff. At the game, Sheffield FC will be inviting everyone to join in a minute's applause, in appreciation of the work Trev did for both SFC and BTF. Naturally the tributes have been flooding in from those who knew Trevor, many of which can be found on the BTF Forum, but one which caught our eye was a text received from ex-Club manager Dave McCarthy - now working in Hungary with Ferencváros: "So sorry to hear about Trev. He was a top bloke and I really appreciated all the support he gave me when I was manager of Club. He supported me right through, even at Don Valley, and we shared some great Sheffield FC moments together. Please pass on my condolences to all his family and friends. I'll raise a glass to him tomorrow night out in Hungary! Trev - a Clubbie and a true gent!" Friends and work colleagues were joined by Sheffield fans and officials who turned out in significent numbers today at Grenoside Crematorium to bid farewell to Trevor Herrington. After the short service many returned to Trev's home to reminisce and chat about the many incidents, mostly humourous, that had occurred during the twelve or so years Trev had loyally followed Club both home and away. The club intends intends to pay it's own tribute to Trev before Saturdays home game against Goole. It is with much sadness that we have to let you all know that our dear pal Trevor, passed away this afternoon after a short illness. Trev was diagnosed with cancer shortly after Christmas and even just over a week ago he was extremely positive about the future. However, during the latter part of last week his condition deteriorated rapidly and news of Trev's passing came today. We'll miss him greatly. We have received word that services for Trev are scheduled for 21 January 2010 at 11:30 a.m. They will be held at Grenoside Crematorium South Chapel. For advice on floral tributes please contact Co-operative Funeral Service Suffolk Road Sheffield - phone no. 0114 276 0211. Sheffield's reward for their 4-3 win over Harrogate RA in last night's League Cup clash is a third round tie away at Ossett Town on Tuesday 24th November. Or should that be home ???!!! 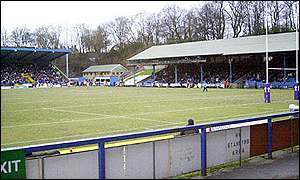 Club used Ingfield as their home ground for a couple of games in the late 1990's when Don Valley Stadium was unavailable. 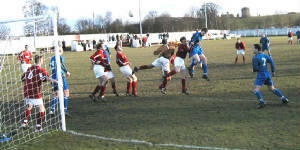 One of these games was an FA Cup clash with Atherton Laburnum Rovers, which the visitors won comfortably. Let's hope for a better result this time ! Leigh Walker misses tonight's League Cup tie as he is cup-tied, with Liam Smith deputising between the sticks, whilst Matt Outram and Ben Leonard are forced to serve one match bans due to reaching five bookings. Paul Smith is also out as he is suffering minor effects from a motoring accident. Brian Cusworth is likely to be on the bench after suffering from a tight hamstring. The final piece in the puzzle appears to have been put in place with Manager Chris Dolby's signing of striker Brian Cusworth from.....whisper it quietly, Stocksbridge. A long time admirer of Cusworth, Dolby has at last managed to secure the signing of the former Parkgate and Alfreton Town forward, for whom he had a prolific strike record. Cusworth's name is now added to the growing list of players who have appeared for both Sheffield and Alfreton which also includes three players in Alfreton's all time top goalscorer listing. The three being Mick Godber, Caine Cheetham and Mick Goddard. Other players who have also worn both shirts include Dolby, Darren Schofield, Adam Fretwell, Chris White, Danny Anson, Darren Holmes and Leon Wainman. Cusworth goes straight into the squad for tomorrows important league game at Spalding. Kirk Jackson returns following his recent illness, but Laurance Gaughan misses out due to picking up a bug. A decision is yet to be taken as to whether Paul Smith is fit enough to return. Chris Dolby has continued his quest to strengthen the first team squad by signing midfielder Matty Thorpe from Matlock Town. 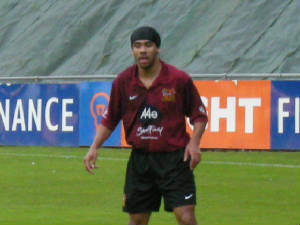 Thorpe was previously with Hucknall Town and joined The Gladiators in March 2008. The Matlock website describes Matty as a hard working strong tackling midfielder who likes to get forward and support the strikers. With Kirk Jackson likely to be out of the side for the visit of Market Drayton Town due to continuing illness, Matt's qualities may well be put the test in tomorrows re-arranged home game (kick off as usual is 3.00pm). Also expected to be out are central defenders Jon Hobson (illness) and Paul Smith (calf injury), but with plenty of cover available in these positions Club can be expected to continue their impressive home defensive record, which has seen them keep seven clean sheets in competitive first team home fixtures this season. A win tomorrow would put Sheffield top of the table, but with the visitors having a 'new' Manager at the helm Club might not have everything their own way. An intriguing contest is in prospect. Chris Adam is unavailable tonight as under the terms of his loan Worksop don’t want the player to be cup-tied. Steve Woolley is also out as he starts his five week suspension. On the plus side, Ashley Longstaff comes back into the squad, as does Will Senior after his five week ban. Andrew Potter also returns to the squad whilst Andy Gascoigne is having a run out with the Under 19’s. Laurence Gaughan may have made one of the shortest career appearances in SFC history (including Dave McCarthys and Lee Walshaws run outs for the first team a few seasons ago !). The ex- Liverpool and Celtic player, who made a substitute appearance at Cammell Laird and was carried off with a head injury shortly after coming on, is currently having trials at Chesterfield and is likely to turn out for their Reserve side this week. Kick off tonight as usual is 7.45pm. Due to unforseen circumstances this coming Sundays charity match between Chris Waddle's Sheffield Wednesday All Stars and a Sheffield United All Stars team, at Sheffield FC's BT Local Business Stadium, has had to be postponed. The game will be re-arranged for a new date in the near future, but as yet, that date has to be confirmed. Everyone involved with the fixture would like to apologize for any inconvenience, or disappointment, that the postponement has caused. Chris Dolby has been active in the transfer market again - this time snapping up 19 year old ex-Celtic and Liverpool defender Laurence Gaughan. Sheffield born Laurence started his career at Liverpool's youth academy, where he earned call-ups to the Republic of Ireland Under 17, Under 18 and Under 19 squads, before moving onto the Glasgow giants. He was recently released from contract and joined Sheffield this morning. He is a centre-back who can play in midfield. He has adopted the Republic of Ireland as his National team, the birth country of his mother and father and was recently a member of their under 19 squad. Gaughan initially played for Liverpool's youth side. The English club were keen to extend his stay but being a Celtic fan he decided to move to the Glasgow club. He was first noticed by Celtic scouts in a Republic of Ireland Youth match in Germany. He has been described as a "footballing centre half who likes to bring the ball out of defence." by John Owens, his former Manager at Liverpool. Leigh Walker's return to the club was confirmed today when he signed on the dotted line. Manager Chris Dolby issued the following statement to BTF:- "...I am absolutely delighted that Leigh has decided to rejoin us. I know that he is looking forward to helping us continue our promising start to the season and am sure that our supporters will welcome back someone who I consider to be the league's best goalkeeper. Earlier in the year he left for Belper, who were challenging for automatic promotion, with my blessing and having asked for my advice on their approach. Supporters are well aware of the uncertainty that surrounded our squad around January/February. Given this and the fact that Leigh has never won anything in football, the opportunity to win a medal was too good an opportunity for him to turn down. Managing to get Leigh back at the club is therefore much more than simply squad building. It shows that we have steadied the ship and can attract quality players to the club once again. 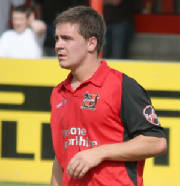 He will become another member of what is looking a stronger squad by the day and contribute to the team making a challenge for honours that our supporters can be proud of..."
Most followers of Sheffield FC will be aware of Tim Surr's prolonged spell in hospital last year following the shock diagnosis that resulted in Tim having the lower part of one his legs amputated. Now Tim (pictured left), along with his mate and fellow Clubbie Paul Glossop, have decided to put something back into the Northern General Hospital, and in particular the Vascular and Specialised Mobility Services Departments that did so much to help with his rehabilitation. Sheffield United and Sheffield Wednesday Allstars have kindly agreed to take part in a Charity Football Match at The BT Local Business Stadium on Sunday 4th October, kick off 12 Noon. Admission is £3 for adults and £1 for Children and Concessions. Tim and Paul hope you'll be able to give your support to this worthy cause. Chris Dolby has signed striker Ashley Longstaff from Retford United on a months loan, with the situation to be reviewed once the loan period has expired. Longstaff, previously with Ossett Town, helps a squad currently suffering through suspensions with Will Senior out for five weeks, Matt Outram for two games, and Steve Woolley starting a five week ban from Monday. Wagstaff goes into the squad for Saturday's home game with Mickleover, whilst Daz Winter also returns. Manager Chris Dolby has confirmed that new striker Will Senior is in line to make his Unibond League debut in Saturday's opening clash with Stamford at The BFS. Will, signed from Millmor Juniors, has yet to experience football at Northern Premier League level but Dolby has been impressed with what he has seen from Senior in the pre-season games and feels Will can step up to the mark if needed. Whether Senior is on from the start or will make an appearance from the bench remains to be seen but the new man will most certainly add to the stiff competition for places in the side. Striker Rob Cam has joined local NCE outfit Hallam on a months loan in a bid to build up some much needed match fitness. Final scoreline from Krakow - Hutnik Krakow 3 Sheffield FC 1. Sheffield scorer being Rob Cam, with Roney and Wainman both going close with first half efforts for Club. Sheffield have today confirmed the return of Andrew Gascoigne to the club. Andrew had a spell with Mansfield Town but has now agreed to return to Club after being released by the Conference side. 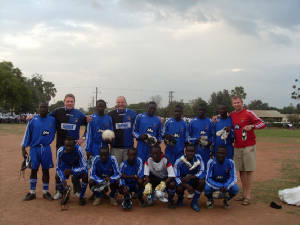 Two former Sheffield FC players are being involved in a link between a local Secondary school and a school in Uganda. All Saints’ Catholic High School’s Head Teacher Bob Sawyer, and Sports’ Teacher Dave Faulkner have been instrumental in a tie-up between their school and schools in Katine in Uganda, one that has seen Sheffield Club get involved recently with the Boots for Africa scheme. This month Bob and Faulks headed to Africa, giving the schools a Sheffield FC kit and boots, with the scheme getting media attention from the Guardian newspaper. To read more about the scheme and the Katine project go to HERE and HERE. Below Mr Sawyer (4th from left) and Mr Faulkner (far right) pose with the locals. The Unibond League fixtures have been released and Club start with a home game against Stamford on 15th August. The first away game is the following Tuesday, 17th August, at Kidsgrove. The Boxing Day game is a trip to Glapwell, whilst we entertain Carlton Town on New Years Day. The final game of the season is a home clash with Rushall Olympic. The full list will be updated to the site throughout the next couple of days. Club's now annual cup clash with Goole AFC (yawn) takes place in the first round of the League Cup at the BF Stadium w/c 21st September. However, Sheffield have received a bye through to the second round of the Presidents Cup. Chris Dolby has continued his squad building for the new season by signing much travelled striker Kirk Jackson. The 32 year old former Sheffield Wednesday, Darlington, Chesterfield, Scunthorpe, Stevenage, Yeovil, Dagenham & Redbridge, Hornchurch, Worksop, Grantham and Gainsborough front man put pen to paper last night. Sheffield have been given a home tie in the Preliminary Round of the 2009-2010 FA Cup competition. Our opponents will either be Flixton or Winsford United on Saturday 29th August. Winners at home to FC United of Manchester. Sheffield have been drawn away from home in the FA Trophy, at old foes Warrington Town on Saturday 3rd October. Winners away to Whitby Town in the next round. Manager Chris Dolby has started the process of building his squad for the forthcoming season and on Monday night held a formal signing session for the players currently available and not on holiday. Amongst the group was former Sheffield favourite, centre back Jon Hobson who joins us from Belper Town, for whom he was skipper last season and was voted Players Player of the Year in 2007-2008. Training for the first team commences next Tuesday (30th June). This coming Saturday (27th) the club has it's annual pre-season clean up day at the stadium and all supporters and friends are welcome to come along and help with the tidy up. Bring along any tools etc that may be of use and obviously appropriately dressed. Admission prices for the coming season remain unchanged. Admission is £6 (£3 for concessions). These prices also apply to the forthcoming friendly games although unlike last season there will be no season ticket on offer to cover these games. The season ticket prices for all league games also remain the same - £70 if bought before the end of July, £90 thereafter. Concessionary season tickets are priced at £20 if bought before the end of July and £40 after that date. Matt Outram is the BTF Player Of The Season - above, John Shepherd presents Matt with the now customary bottle of champagne. Many thanks to all who contributed to the award with financial support and of course the votes throughout the season. Chris Dolby is without Matt Outram and Jack Muldoon for Easter Monday's home clash with Stocksbridge. Andrew Potter is also out with an ankle injury. Jani Lipka comes into the squad, along with recent signing Lee Cooksey. Manager Chris Dolby hands a first game between the posts tonight to Tom Cross. Dolby takes the opportunity of looking at his goalkeeping options with a view to team building next season and sees tonight's game as a good opportunity to look at Cross. However, the Manager stresses that this in no way reflects on the performances of Marc Furniss. Out of tonights side are Matt Outram, who completes his two match ban whilst Matt Roney and Leon Wainman are both unavailable. For tonight's home game against Lincoln United, Jordan Eagers and Matt Outram both face fitness tests whilst Daz Winter is back in the squad after his one game loan spell at Hallam at the weekend. Meanwhile, Stewart Copnell is left out of the squad for the game following a potential breach of club discipline after Saturday's dramatic last gasp victory over Willenhall. The club are conducting a review to determine the full extent of the alleged incident. There are doubts over the fitness of Matt Roney, Leon Wainman and Matt Outram for tonights clash with Kidsgrove Athletic. However, David Graham is set to make his debut up front and Daz Winter is available for selection again after completing his recent suspension. Kick off as usual is 7.45pm. Ex-Wednesday striker David Graham has put pen to paper and signed for Sheffield FC. The former Rangers, Wigan Athletic and Scottish U21 player has joined Club after the conclusion of the players six month spell at Lincoln City. 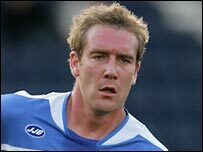 The 30 year old, 5' 11" front man also had prolific spells at Torquay United, where he scored 47 goals in 120 appearances, and Huddersfield Town with 9 goals in a 16 match loan spell. Graham is expected to start in tomorrow nights home game with Kidsgrove Athletic. Leon Wainman and Matt Roney are in line to make their return debuts for Club at Retford United tonight. Stewart Copnell is also included in the squad as the club wait to discover the latest verdict on the strikers next suspension for offences committed with his previous clubs. However, Manager Chris Dolby is without Daz Winter due to the influential midfielder now having to serve a two match ban. Last night's postponed clash with Grantham Town has been re-arranged for Wednesday 15th April, kick off 7.45pm. Tonight's scheduled home game against Grantham Town has been postponed due to a heavily waterlogged pitch. Despite work on the pitch by the groundstaff to save the fixture, the pitch has so much standing water that a walk on the playing surface was not necessary by the officials to determine the outcome. Next scheduled game is Retford United away a week tonight. Manager Chris Dolby has been active again in the transfer market and Sheffield welcome back another old boy in former favourite, winger Matt Roney. Signed from Glapwell, Matt goes straight into the squad for tonights home game against Grantham Town. Jordan Eagers and Adam Fretwell are both rated 50/50 for tomorrow nights home game against Grantham Town. Back in the squad following his recent operation is Mickey Goddard and also included is Leon Wainman (pictured left), returning for his second spell with Sheffield. Kick off as usual is 7.45pm. There will be late fitness tests for Jani Lipka, Lloyd Gelsthorpe and Matt Outram before tomorrows home league fixture against Loughborough Dynamo, while Andrew Potter misses out due to a back injury substained during the warm up on Tuesday. Daz Winter is available to play despite his sending off for two yellow yards at Goole. Other news as Mick Goddard came through Thursday night's training session and will probably come into contention for a place in Tuesday night's home game against Grantham Town. Manager Chris Dolby takes the same squad from Saturday's seven goal demolition of Spalding United to The Victoria Pleasure Grounds tomorrow night for the clash with Goole AFC. Kick off as usual is 7.45pm. Club certainly tiptoed through 'The Tulips' and more this afternoon at The BFS Stadium, putting visitors Spalding to the sword with a seven goal demolition job. An early own goal, two Jordan Eagers strikes, one a penalty in the opening half set the tone for the remainder of the afternoon, with Steve Woolley, Man Of The Match Matt Outram, Stewart Copnell and Jani Lipka completing the rout. Daz Winter is likely to be on the bench for tomorrows clash with Spalding, whilst Stewart Copnell and Gavin Smith return from suspension. Jordan Eagers however is only rated 50/50. Confirmation has been received that tonights home game v Belper Town definitely goes ahead as scheduled. Pete Bowden, the Bright Finance Stadium groundman, has confirmed today that signs are positive for tomorrow night's home game against second place Belper Town going ahead. The extensive work done by Pete on the pitch to ensure optimum drainage of the water after the weekend thaw appears to have worked. Unless there is a deterioration in the weather tomorrow it is anticipated a pitch inspection will be unnecessary. The weather forecast is good with no rain predicted. In an attempt to make use of all available networking services, BTF has opened it's own grouping on Facebook. To join, simply go to the Facebook website and type Behind The Flag in the search facility. Then add us to your friends. We'll see how this develops and hopefully it will provide us with another avenue to get information out to the SFC supporters. This morning's 10.00am pitch inspection has resulted in the game at Shepshed being postponed. Heavy overnight frost, coupled with the recent bad weather combined to make the pitch unplayable. We now wait to see how The Coach & Horses pitch shapes up to the recent conditions for Tuesday night's scheduled home fixture. Marc Furniss is set for his goalkeeping Sheffield FC Northern Premier League debut at Shepshed tomorrow....if.....the game goes ahead. Furniss has been drafted into the side following Leigh Walker's departure to Belper. Marc has been involved in first team action already this season, most notably in the League Cup win over Durham City and the sides unfortunate Presidents Cup exit at Halifax Town. Also back in the squad are Rob Cam and Jani Lipka following injury. Stewart Copnell meanwhile is forced to sit out the clash as he starts his suspension following five bookings sustained with previous clubs. If the game is called off before we depart for the Shepshed then the site and Forum will be updated, and BTF Mailing List subscribers will be e-mailed. The club is selling season tickets for the remainder of the season for which there are 11 home leagues games left. Mini Season Tickets are up for grabs at a cost of £40 and £20 for concessions. Community Manager Lee Walshaw said; " We are fully aware of the current financial climate and if we can help our supporters in any way at all we will. It's only a small gesture but it may make the difference in people attending the remaining fixtures or not. Our support over the last few years has been fantastic and long may it continue". Tickets will be available on the turnstile at our next home game. As expected, today's home game v Goole has been postponed, following the official pitch inspection. With the pitch at the Bright Finance Stadium under five inches of snow yesterday, it now seems a forgone conclusion that Saturday's home game with Goole will be postponed. However, under NPL rules a final decision can only be made on the morning of the game, when a referee is called in to make the final decision. Keep an eye on this page for the formal announcement on Saturday. Manager Chris Dolby is now on the hunt for a new goalkeeper at Sheffield Club after he agreed to release Leigh Walker, following Belper Town's approach for the current Team Captain. Dolby is disappointed to lose a player of Walker's stature but the lure of a promotion push for the former Football League keeper has proved too great. Club have announced the signing of Stewart Copnell and the striker should feature in tomorrows clash at Rushall Olympic. Stewart rejoins the club after being 'released' by Goole AFC. Also joining Club is Adam Fretwell; Adam joins us from Worksop Town, and is expected to make his debut at Rushall. Experienced goalscoring midfielder Fretwell has also played for Alfreton Town, Buxton, Parkgate with Matt Outram, and whisper it quietly, Hallam. On the injury front, contrary to Brian Bradley's report in today's Telegraph that Mick Goddard will return to the side tomorrow, Mick has had a knee operaton and will be out for at least 4 weeks. Ben Leonard has also had a knee operation and will be in light training at the back end of next week and should be in contention in two to three weeks. Daz Winter has a similar timeframe as Ben, next week for light training and two-three weeks for a return. Janni Lipka is out for another seven days with an ankle knock. “Two weeks ago the club announced proactive measures designed to minimise the effects of the current recession. This has led to a reduction in the playing budget and well publicised changes in personnel. The club has been keen to wish those who have left well and worked tirelessly to replace them and make any changes as painless as possible for those involved. Perhaps it is a measure of our club’s great stature that this announcement has provoked such debate and speculation. However, it is important that we do not allow speculation to prevent us all pulling together. The club is aware that there are some supporters, yourselves included I believe, who have had great concerns in the past two weeks about the longer term future of the club. I am determined to alleviate these concerns so that we are all able to get on with what we love doing, supporting the World’s First Football Club and enjoying our own special roles in taking the club forward. The long term future of Sheffield Football Club at the Bright Finance Stadium is secure. Yes, we have had to review the affects of reduced income in the short term during difficult economic times, but we still have our vision for the future and have indeed made such difficult decisions now in order to ensure this brighter future, and not simply hope for the best. It is not news to anyone to say that there have been times in the past when the future of the club has looked very bleak indeed. With the measures above we are only guarding against vulnerability not indicating impending doom. The amount of support and understanding we have received in the past couple of weeks has been fantastic from all those associated with the club. However, I am aware of some frustration around a perceived lack of communication between the club and our loyal supporters. Alan Wake has agreed to take on the mantle of Supporter liaison and will be in touch about how the club can perhaps improve in this area moving forward. With his experience of the club in a sponsorship role and as a committed fan, I am sure that he will be ideal in this role. I hope that I have alleviated the fears of those supporters who were concerned about the long term future of Sheffield Football Club. Despite the many changes that have taken place in recent years, I am still committed to transparency wherever possible and am happy to address to anyone’s concerns if put in the right way. Alan has already discussed the possibility of a “Q and A” session with supporters, which I will be happy to attend. Anyone wanting to contact Richard or Alan can do so via BTF by e-mailing any questions or concerns to stu@behindtheflag.net - he will then forward them directly onto the guys. Whilst it's pretty much been general knowledge since last week, Dave McCarthy today confirms on the official site www.sheffieldfc.com his departure from the club for pastures new, albeit down the road in Sheffield 2 ! Macca reflects on his ten year spell with the club and the achievements and development of the club in that time. On a personal note (writes Deano), Macca's first contact with Club was through yours truly (when I was Programme Editor). After Macca left Alfreton he made a call to me on my mobile whilst I was in McDonalds in Oxford and asked me for John Pearson's phone number ! Dave wanted to keep his hand in with football coaching and was looking to help Club in that area in a purely unpaid role. Once they'd spoken, John initially invited Macca to join the coaching staff, but he quickly moved up to the role of Joint Manager alongside John and finally took sole control when John left the club. In that time the relationship between ourselves has developed to the extent that information on the coming and going of players and match postponments was always readily and willingly forthcoming, and so ensuring the supporters were always kept in the loop. 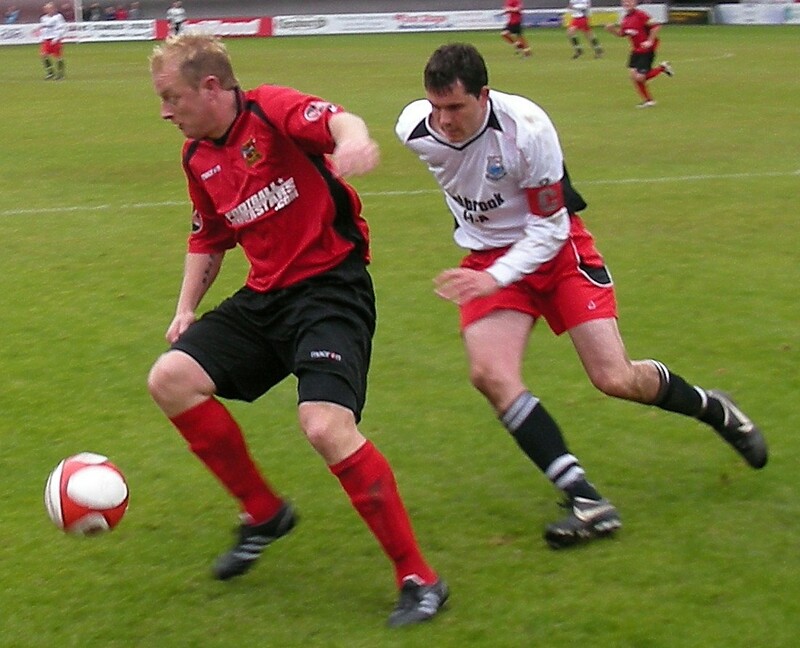 My own personal highlight of Macca's tenure is probably the League Cup Final win over Gedling in 2001 at the home of Alfreton Town on an unbelievably muddy and wet night - Club's first trophy win in a number of years. Much has happened since then with Macca bowing out as Manager following the memorable play off final penalty shoot out defeat at Nantwich. It hurt but it felt a million miles away from those cold nights at Armthorpe and Pickering in the NCEFL. I could go on but I won't as most will have their own memories of Macca's time at Sheffield. It was also understood that Lee 'Wally' Walshaw had also left the club after being Macca's Assistant for much of his time at the club. However, this is now unclear as BTF understands Wally may still be involved with SFC. However at this stage all I can do, on behalf of myself and all supporters, is wish Dave all the best for the future in the next exciting phase of his football career. Dave McCarthy has informed us that Quorn have advised the club tonights game is OFF due to a waterlogged pitch. The game has now been re-scheduled for Saturday 7th March with the Retford game now being moved to Tuesday 10th March. Club ended a week of turmoil with a comprehensive defeat at promotion chasers Belper Town by 3-0 this afternoon. Full debuts were handed to new men Andrew Potter, Sean Gordon and James Thompson, whilst the fourth new signing Rob Cam was on the bench. Club have moved to towards re-building the first team squad by signing former Warrington Town right side midfielder Andrew Potter. 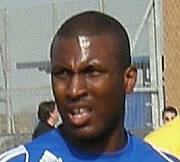 Potter played for 'Wire' against Club in the 1-1 draw in August 2007. Saturday's cancelled home fixture against Grantham Town has now been re-arranged for Tuesday 3rd March. All other outstanding fixtures have also been re-arranged and these can be viewed on the Fixtures and Stats page. Today's home game against Grantham Town has been postponed due a frozen pitch. Two goals from Tom Cahill and one from Ben Pringle saw Ilkeston Town knock Sheffield out of the last remaining cup competition, the UniBond League Cup, at a chilly Manor Ground this afternoon. A full report can be found HERE. I guess you can say we are all out of decent headlines, but Marc Newsham made it five goals in four starts for Sheffield, as Club ran out 3-2 winners over local rivals Retford United. In front of a bumper crowd (760 - a record for a league game at the BFS) Sheffield ripped up the form book to run out victors in an enthralling contest that saw both sides end with ten men. A full report can be found here. Leading scorer Scott Partridge (pictured left) has left the Club and signed for Blue Square North side Weston-super-Mare AFC. The pitch at the Bright Finance Stadium is perfectly playable today and is in fact in excellent condition, ahead of the game against Retford United on New Years Day. Having looked long and hard at the weather forecast for the next 24 hours, where the temperature is expected to drop to -7 in some parts overnight, the Sheffield FC Secretary has confirmed that he will review the pitch at around 10.00am on the day of the match and if an inspection is required, the match referee, Nigel Smith of Chesterfield , will visit the ground to complete a full inspection at 11.30am. A Vill Powell first half goal put Club on the way to a share of the spoils this afternoon at a freezing Bracken Moor. It could, and possibly should, have been more as several other guilt edged chances went begging but ultimately this will be classed as a point gained by Sheffield and two points dropped by promotion chasing Park Steels. Sheffield came from two down at league leaders Carton Town to share the spoils in a 3-3 draw this afternoon. Marc Newsham's first goals for the Club put Sheffield back on level terms at 2-2 in the first half, whilst one of the other new boys, Dan MacPherson, headed home a second half equaliser to complete the scoring. Vill Powell made a most welcome return to the squad and appeared as a late second half substitute. Pictured below, Newsham stabs home Sheffield's first goal. Club have an additional fixture planned for Tuesday evening (23rd December) for those of you desperate for a pre-Christmas seasonal footie fix. Desperate groundhoppers please be aware - no programme will be issued! Click HERE to find out who the opponents are... more details will appear here as soon as we have them. Today's home game against Loughborough Dynamo has been postponed with the ground waterlogged AND frozen. In an attempt to avoid a clash with a number of Football League games in the area on Boxing Day, Club have agreed to help our local neighbours by agreeing to switch the derby fixture with Stocksbridge at Bracken Moor to Saturday 27th December. Also arranged is the League Cup 4th Round clash at Ilkeston Town on Saturday 3rd January. In an attempt to improve Sheffield's league form Manager Chris Dolby had two of his three new signings in the side at Grantham today. Jack Muldoon from Brigg Town was unable to take his place in the squad but striker Marc Newsham on loan from Rotherham United, and midfielder Dan MacPherson from Hucknall Town helped Club, hampered by the early dismissal of another new boy in Ben Leonard, to a 1-1 draw at Phil Starbuck's Grantham Town. Some doubt surrounds the Sheffield scorer with Grantham reporting Paul Smith while BTF believes Scott Partridge to be the final beneficiary. The match report can be found HERE . Club's disappointing league form continued tonight, as they lost 2-1 away at a freezing Loughborough Dynamo ground. A Scott Partridge goal was scant consolation in a game that should have been won, as they failed to take advantage in one of the most one-sided first halves you'll ever see. The match report can be found HERE. Saturday's debacle was swept into the locker tonight, as a Scott Partridge hat-trick helped dispatch North Ferriby at a freezing BFS, taking Club through to the last sixteen of the UniBond League Cup . The match report can be found HERE. A lacklustre performance by Sheffield saw them fall at home to basement side Brigg Town this afternoon at the BFS, a result that gave the North Lincolnshire side their first win of the season. A full match report can be found HERE. Club's reward for the victory over Durham in the last round of the League Cup is a home draw against North Ferriby United. The game to be played next Tuesday, 25th November 2008. United provided Sheffield with one of their most exciting games in recent years when in 1997 Club had to beat the Wembley FA Vase bound side in the final game of the season to avoid finishing in one of the relegation spots. Club came from 0-2 down to eventually win 4-3 to ensure a third from bottom placing in the NCEFL Premier Division. A brace of goals from Jez Mitchell helped Club progress in the only cup competition Sheffield retain an interest in this season, as they overcame Durham City by 3-2. Mickey Goddard was the other goalscorer for Sheffield, with late responses from Adam Johnston and Tommy English making the score more respectable for the team from the North-East. A full report can be found HERE . Sheffield claim four points from six from their league travels over the last eight days and start to climb the league table at last. It could have been six but a late Stamford equaliser put paid to that and you can read about the game at the Vic Couzens Stadium here. In tonight's Presidents Cup tie it took two goals in the second period of extra time by the Unibond League North table toppers FC Halifax Town to put paid to a Sheffield side fielding several players from the Under 19 side. Man Of The Match Matt Roney giving the visitors a second half lead before a late Halifax strike took the game to extra time. The match report can be found here. Club picked up three valuable league points at Kidsgrove this afternoon, inspired by a couple of firsts – Ronnie Wright’s first victory since joining the management team, and Greg Wright’s first goal since coming back to the BFS. Steve Woolley wrapped things up to give Sheffield a 2-0 victory, the match report can be found HERE! The current Sheffield Senior Cup holders crashed out of this seasons competition at local rivals Stocksbridge tonight. Club down to ten men after the first half sending off of Daz Winter, also missed a second half penalty as they lost 3-0 at a fog laden Bracken Moor. The match report can now be found here. Gresley had revenge in their minds this afternoon at the BFS, running out 4-1 winners over a depleted Sheffield side, with Louis Briscoe the visitors’ hero with three goals in fifteen first half minutes. Club were never at the races, and gave an unspectacular Rovers side the chance to avenge the opening day defeat, making it an unhappy return to league football after an absence of eight games due to Cup runs. The match report can be found by clicking HERE. In a game that bore remarkable similarity to the club's previous appearance in the FA Cup 4th Qualifying Round eight years ago, Sheffield fell at the final hurdle that would have taken them into the FA Cup 1st Round draw for the first time in the clubs history. As with Northwich Victoria, Club took a first half lead, this time through Scott Partridge, and had a good opportunity to extend that lead. However, despite some heroics by keeper Leigh Walker, Blyth Spartans were able to take full advantage of a second half purple patch to hit Club with a three goal salvo that took the North Eastern side into Sunday's draw. Whilst Sheffield FC prepare for their massive FA Cup 4th Qualifying Round tie at Blyth Spartans they have still found time to help plan and stage a charity game at their Bright Finance Stadium on Sunday, which will feature ex footballing legends Chris Waddle, Mark Smith, Scott Sellars, Mitch Ward , Wayne Biggins and Chris Wilder amongst others. A group of friends are reforming their teenage football team after 20 years to support a pal suffering from incurable skin cancer. Josh Bryne, from Chesterfield, was diagnosed with malignant melanoma in May after going to his GP with pain in his back and arm. The 37-year-old, store manager at Sainsbury's supermarket, Dronfield, had no obvious signs of the disease. But he was diagnosed when other conditions were ruled out in hospital. Josh is receiving treatment at Weston Park Hospital as part of a medical trial but when old friends from Arbourthorne, Sheffield, where he grew up, heard of his plight they were determined to help. As a teenager Josh was part of now defunct Sunday League team Arbourthorne Rangers - now re-forming for a special and one off charity football match in aid of Weston Park Hospital Cancer. Friend Lee Reynolds said: "Most of us are in our late 30s we haven't played football for 20 years - we're old men now!”When we heard Josh was ill we knew we couldn't help him but we could help the people who are helping Josh, which is why we are having the fundraising match." The friends are taking on a Sheffield FC Masters Team, made up of ex-professionals, and will play against them at Sheffield Football Club's Bright Finance Stadium, Dronfield. Training sessions have been taking place at Graves Park and although Josh is not well enough to play, he has a crucial role as manager and will be picking the team. He is also offering motivational tips and advice to ensure they give their best performance. The lads are taking the match seriously, as they want to help the charity - but they are also enjoying getting back together as a group. "Most of us went to school together and we played in Sunday league, it stopped when we moved on, settled down and had kids," said Lee. "We're having a laugh and a joke and it's like being 16 again." The worthy cause has brought the group of school friends back together - most have left Arbourthorne, although one or two are still there. They all live and work around Sheffield. They are being given tough training by Josh's brother John, who is a Royal Marine. Another of Josh's brothers Sean is also playing with two of his sons, Lee added. Friends and supporters of Josh, the team and the hospital are asked to go along and support the event at the ground this Sunday. Kick-off is at 2pm and tickets will be available on the day, costing £3 for adults and £1 for children. There will also be a raffle at half-time and auction after full-time, at the neighbouring Coach and Horses pub. All profits from ticket sales and raffle and auction will go to Weston Park Hospital Cancer Appeal. You can also log onto www.justgiving.com/arbourthorne-rangers to sponsor the team. Sheffield FC's 100% knock out competition record this season was ended at Skelmersdale United this afternoon in the FA Trophy clash. A solitary second half goal was enough for the home side, with Mick Goddard's last minute penalty being saved by the United keeper. ...and the winners are SHEFFIELD FC !!!! After a game played in what were practically monsoon conditions, Club overcame the UniBond Premier Division outfit Guiseley 2-1 at the BFS tonight, with goals from Mick Goddard and Asa Ingall. This was the visitors first defeat in all competitions this season and Sheffield's reward is a trip to Blue Square North team Blyth Spartans, a 150 mile trek into the North-East - the match report can be found HERE. It was a proper case of coming back from the dead at Nethermoor this afternoon in the FA Cup, as Sheffield turned around a 3-0 half time deficit, to finish the game 3-3 and bring the tie to the BFS on Tuesday night. The match report can be found HERE. Durham City make the long midweek trip to Dronfield for the Second Round League Cup tie to be played at the BFS on Tuesday 28th October. 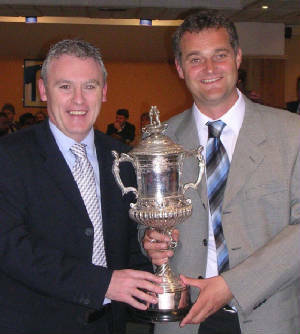 The draw provides Sheffield with the opportunity of going some way towards avenging the FA Vase defeat which they suffered at the hands of the then Northern League side back in 2006 - a game in which both Manager Chris Dolby and his Assistant Gavin Smith were in the Sheffield starting eleven. This Sunday, CP Sheffield FC will be playing Liverpool FC is an 11 a side Challenge match at the Bright Finance Stadium. For the players of Sheffield this will be something new as this will be Sheffield FC’s first attempt at 11 a side football. 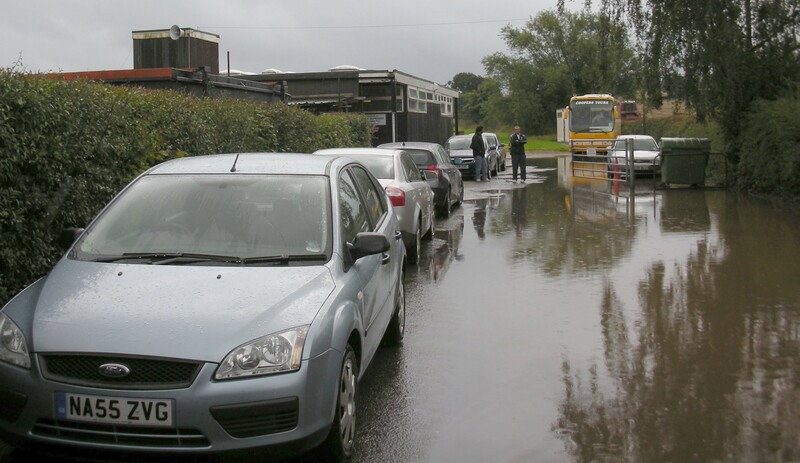 A late persistant deluge saw the Bright Finance Stadium lose its first Sheffield FC first team game of the season tonight, with the eagerly anticipated clash against local rivals Belper Town being washed out. So next up is another cup game, this Saturday in the FA Cup at Guiseley, directions can be found on the Awaydays page. 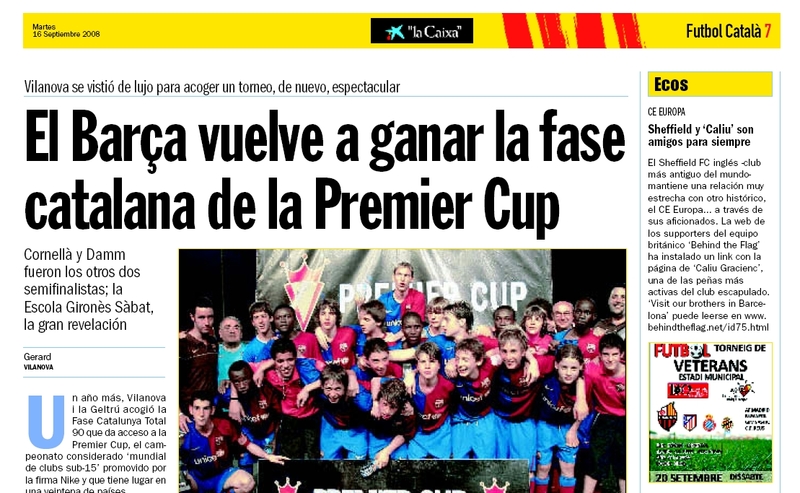 It might seem a small thing to many, but a simple entry on the links page has seen Sheffield FC's Behind the Flag find itself in the sports pages in Barcelona's premier newspaper - El Diari. Linking to the Caliu Gracienc supporters' club site of our friends in the Catalan city - CE Europa - seems to have raised more than a few eyebrows in Barcelona. So much so that it was deemed worthy of (albeit modest) column inches in the paper a couple of weeks ago. Naturally, we like a bit of publicity, so any free advertising is always welcome. For a closer look, and if you can understand Catalunyan, click on the image. Sheffield's winning streak in this seasons knock out competitions continued at The BFS this afternoon as high flying Unibond First Division North visitors Bamber Bridge were put to the sword. Man Of The Match Mick Goddard's (pictured right) excellent form continued, despite losing influential strike partner Scott Partridge at half time. Matt Outram, Steve Woolley, Goddard (2) and Matt Roney putting Club 5-1 up and only two late strikes from 'Brig' gave the final scoreline a more respectable look for the visitors. The Goddard and Roney goals can be viewed here, whilst the match report is now online. What do you mean "it's a dodgy headline"? Scott Partridge went goal crazy in the League Cup tonight at Brigg, running in FOUR goals past the UniBond One South basement dwellers, in a convincing 5-0 away victory. Also on the scoresheet in this one-sided contest was Mick Goddard, who also capped an impressive performance by setting up THREE of Scott's tally; the mtch report is already online CLICK HERE to have a read. Elsewhere tonight, Club's next opponents in the FA Cup were decided up the M1, with Guiseley running out winners in the local derby. The reward for Saturday's 4-1 win over Bacup Borough is an away trip to the Leeds area, exactly where remains to be seen, as we are to face the winners of either Garforth Town or Guiseley on Saturday 11th October. No doubt one eye will be on the result of this one on Tuesday whilst we are at Brigg Town, and it will be a tough one to call as the two sides drew 2-2 in the first game at Nethermoor, despite Guiseley flying high in the UniBond Premier Division and Garforth dwelling at the foot of Division One North! Following the midweek victory over AFC Goole, Sheffield have been drawn away to FC Halifax Town in the Second Round of the Unibond Presidents Cup. The tie is scheduled for Tuesday 14th October. a half-time deficit to defeat a tough and uncompromising Sheffield United Community Ladies outfit 3-1 at the Bright Finance Stadium. See the Ladies’ page for full details. Club cruised into the Third Round Qualifying of the FA Cup when they comfortably despatched NWCFL side Bacup Borough from the competition by a scoreline of 4-1 this afternoon at The BFS Stadium. The above picture shows Paul Smith's second half free kick flying over the head of Bacup keeper Melville to put Sheffield two up. The match report and more photos can be viewed here. Loyal Sheffield supporter Tim "Clunesey" Surr has had to undergo emergency surgery this week, having to have his leg amputated below the knee. Tim had been suffering with some foot pain over the weekend, and reluctantly was admitted to hospital, where he was diagnosed with "Type 2 Diabetes". Obviously this will come as a shock to everyone who knows Tim, more details and a thread to add your best wishes can be found on the BTF Forum by CLICKING HERE; naturally everyone at BTF wish Clunesey a swift recovery and look forward to hearing him moaning at the match pretty soon. Reports tonight suggest striker Gary Townsend has returned to his first club Worksop Town. Gary, pictured left, has had an indifferent time at Club, partly due to a series of injuries and will be hoping a spell at Watnall Road will provide him with an opportunity to obtain regular first team football again. BTF wishes Gary the best of luck. Sheffield Under 19s were knocked out of the FA Youth Cup tonight at the BFS, losing 0-1 to Garforth Town. We've had the "P-Squad", now meet the "G-Force" as Andy Gascoigne and Mick Goddard goals sank the Vikings in tonight's Presidents' Cup tie at the BFS. The lads second half goals were enough to overturn the one goal deficit, after Goole's Adam Lee scored in the 3rd minute. The Match Report is now online - and can be found HERE. Club saw off the challenge of Stamford this afternoon at The BFS with goals from Gav Smith, Matt Roney and Pete Davey in a 3-1 win for Sheffield. Following last season’s promotion, Sheffield FC Ladies opened their league campaign in the higher division with a 7-0 mauling of Hull City LFC. See the Ladies’ page for full details. To add to the afternoon’s joy came the news that newly formed Sheffield FC Ladies Reserves had demolished Dinnington Town 15-0 in their own league debut. Not quite, but still… it makes a good headline… Anyway, Sheffield did enough to march into the next round, bagging THREE GRAND into the bargain. The match report is now online, you can find it by clicking HERE. On a related note, Tuesday's game at Retford is off due to Badger infestation at Cannon Park. No, actually they drew in their cup game today, and will have to play their replay midweek. Try saying that when you've had a few beers... anyway, Sheffield's undefeated home record was broken tonight, as an electric Dynamo shocked a lacklustre Club side by winning 2-0. A two goal salvo in the second half from Shane Benjamin gave the Leicestershire side all three points. A full match report can be found HERE now. SFC Ladies lost their FA Women's Cup clash with Barnsley 1-3 at The BFS Stadium this afternoon. The match report will appear here later. This game at Loughborough Dynamo was called off at 2.15pm today, after the team and dozens of Sheffield supporters had made the trip down the M1. Sadly the persistant rain was too much, giving the referee no choice but to give the game the red light. Hopefully the weather will hold up for Club's home game on Tuesday against the "Other Dynamo"! Sheffield march on to the next round of the FA Cup, following a pretty one-sided contest at the BFS, with Club running out 4-0 victors of AFC Fylde Goals from Mick Goddard (2), Gavin Smith and Daz Winter ensured Sheffield FC face NWCFL side Colne in a couple of weeks time. The match report can be found HERE. Click here to view brief highlights and interviews from our FA Cup clash at AFC Fylde. The FA Cup clash at AFC Fylde ended all square 1-1 despite Sheffield dominating large chunks of play. 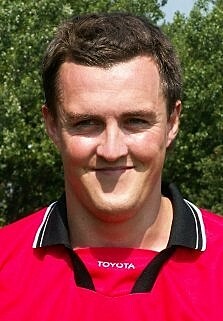 Paul Smith missed a second half penalty for Club before Asa Ingall headed the visitors in front (pictured below). However, last seasons FA Vase winners were not to be denied and were handed a lifeline with their own penalty which they duly converted. The replay is on Tuesday, kick off 7.45pm. The match report is online now - and can be found here . For the older and longer standing supporters of Sheffield FC, here's a couple of blasts from the past, who we at BTF Towers are sure you'll remember! 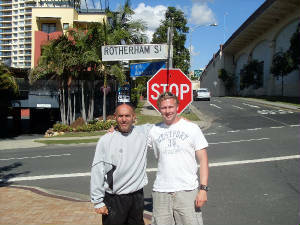 Ex-Sheffield defender David Faulkner was down under in Oz the other week (well for the past month and a bit) and as luck would have it he bumped into none other than former Club coach Super Sam Saif in Downtown Brisbane... where else than in Rotherham Street. To quote Dave "As I said to Sam you can take the boy out of Rotherham - but you'll never take Rotherham out of the boy"... too true Faulks, too true. Click on the picture for a better look at the "Living Legends"! Club's luck finally ran out at Spalding this afternoon, losing 2-1 away at Spalding United, in a below-par performance. A Scott Partridge goal was not enough to spare Sheffield's blushes, as goals from Ricky Miller and Martin Wormall bagged all three points for the Lincolnshire outfit. A full report can be found HERE on the match report page. Three goals in the last five minutes saved Club's blushes this afternoon, as substitute Matt Roney came on and hit two solo goals, with Paul Smith grabbing the other from the penalty spot, after Justin Jenkins had given the Leicestershire outfit a shock lead. Pictured above, Roney (No 14 left of picture) turns away as the ball beats the Quorn keeper all ends up and hits the back of the net to put Club on level terms. A full report can be found HERE on the match report page. Sheffield FC have confirmed that Striker Vill Powell suffered a hairline fracture of the fibula 10 minutes before the end of the game against Carlton Town on Tuesday evening. Powell aka Super Vill, who had scored his third goal of the campaign early in the game, was injured in a race for the ball with Town ‘Keeper Alessandro Barcherini. Doctors have estimated that Powell will be missing for around six to eight weeks. New Sheffield Manager Chris Dolby is now expected to promote ex Retford United and Alfreton striker Mickey Goddard to partner ex Bath City player Scott Partridge, in what still looks like a formidable partnership for the Worlds First Football Club. Goddard has been used in a sub in the clubs first two League matches. Pete Davey, injured early in the same game, is making good progress from the knock that forced him off on Tuesday evening. The latest news on Vill Powell's injury sustained in last night's clash with Carlton has been provided by Vill himself on The BTF Forum. In response to all the best wishes passed onto the popular striker, Vill says "Thank you everyone means a lot. After having an x-ray, the initial response from doctors at the Chesterfield Hospital last night, who were top draw by the way alongside the two physio's at the club, Nick and Buster, I've been told I have a crack in my shin and there is no need for an operation. I haven't done any muscular or ligament damage so it's the best case of a worse case scenario. I have an appointment with the fracture specialist this afternoon so I should have a more definate timescale in terms of time out this afternoon....but whatever happens I'll be back..
A cool finish from Scott Partridge salvaged a point tonight at the BFS, after Carlton tore up the form book to take an unexpected lead. Goals from Martin Ball and Grant Brindley looked to have snatched all three points, after Vill Powell scored in the first half. Things ended up with a rather sour taste after Club hitman Powell headed out of the stadium in an ambulance, following a nasty collision with keeper Alessandro Barcherini, with a suspected broken leg. A full report can be found HERE on the match report page. Former bogey side Carlton Town visit The Bright Finance Stadium tonight, 'buzzing' and 'very high in confidence' according to Town's Daryl Thomas. Thomas speaking in this week's Non League Today states promotion could be on the agenda for Carlton and that the club can be as big as Hucknall in five years. However, they started poorly on Saturday going down 3-1 at home to last seasons Champions Retford. Town's Steve Chaplin scoring a late consolation. Table topping Club meanwhile go into tonight’s game without influential Captain Steve Hawes due to holiday commitments.